The exam period can be a time of great stress and anxiety for young people in schools and colleges. Here are twenty tips to help with revision, taking exams, and surviving the exam period with your emotional wellbeing intact. I hope you'll find that some of the ideas work for you. Have a tip of your own to share? Submit a comment at the bottom of the post, or respond to us on Twitter or FaceBook. 1. An obvious tip to get you started! Have a day by day revision plan and try your absolute best to stick to it. If you have lots of exams (e.g. GCSE), then make sure that your revision plan matches up to when your exams are actually taking place. Take the time to look at your exam timetable, and work out how to make best use of your revision time to arrive at each one as well-prepared as you can. 2. When you're revising, work in shorter, focussed blocks of time with a clear goal for each session, e.g. "To memorise the main causes of World War I". A suggested pattern is to work intensively for 25 minutes, followed by a 5 minute break. Repeat this four times to give a 2 hour revision session in total. Then take a longer break. (This technique of dividing your time is based on something called the Pomodoro Technique, if you're interested!). Bonus tip: don't use the 5 minute breaks to begin any potentially distracting tasks (video games, social networking, watching YouTube) ... that 5 minutes can easily turn into 10, 15, 30 minutes if you do that! Instead, get out of your seat, take a very quick walk around the house, grab a drink of water or a healthy snack, stroke the dog, and then get back to work. 3. Revising does not just mean reading! 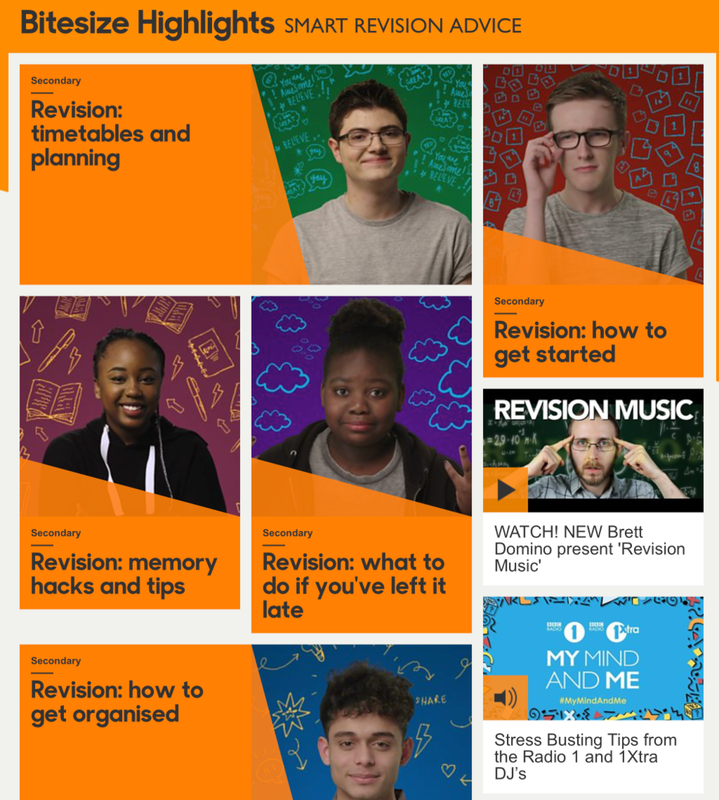 Make sure that your revision sessions include other activities: condensing what you’ve learned in a list of key points, putting ideas onto flash cards, creating mindmaps, intensive reading of your notes for a short period of time, followed by practising writing down key points. Maybe even record key ideas onto your phone, and listen back to them later. Use memory exercises to help you to remember key facts and ideas. There are lots of websites and videos out there with tips for memorising facts. 4. Find out what works for you. Does revising in silence work best, or with quiet music? What time of day are you most effective? At the end of each session, think about what went well and what didn't? How can you make it better next time? Be honest with yourself about what is working and what is not. Revision is a process. Try to get better at revision as time goes on. 5. If you can, get family members and friends involved in your revision too. Get them to ask you questions. Ask them to sit and listen while you explain the key ideas of a topic to them. Here's a little known secret about teachers: you'll be surprised how many times they have only thoroughly learned a topic shortly before they taught it to you. Having to teach someone else is a great motivation for learning, so make use of this: give yourself 30 minutes of intensive revision of a topic, and agree with a parent or carer that you’ll then spend 10 minutes explaining what you’ve learned to them. 6. If you have a poor revision session - maybe you're distracted, maybe you got distracted sending WhatsApp messages to a friend - don't beat yourself up too hard about it. Make it better the next time! 7. Speaking of distraction ... be brutally honest with yourself about things which are likely to distract you, and take steps to remove them from your revision environment. Leave your phone with a parent or in another room. If you’re using a laptop or tablet to revise, turn off notifications from the apps that are likely to pull you away from your revision. Mute WhatsApp, Instagram or Facebook notifications. Delete the apps, or log out from any services that might distract you, leaving them only on your phone ... then leave that somewhere else in the house. 8. Prioritise your revision. Don't just revise the subjects or topics you find most interesting. It's very tempting to only focus on the subjects that you like the most! Equally, don’t get caught up on one topic that you find to be particularly difficult, especially if it's quite a 'minor' topic that is only likely to contribute a few marks in your final exam. Make a note of the topic somewhere and come back to it later, or take the time to ask your teacher to run through it with you in a lunchtime or for a few minutes after school. 9. Be as familiar as you can with the format of the exam papers you'll be taking. Don't just revise ‘knowledge’, practise answering real exam questions from previous years. Many exam boards publish past papers and the mark schemes onto their websites. If you're not sure, ask your teacher. 10. If you're struggling for motivation, think about your goals. Revision is essentially a conflict between the short-term 'unpleasantness' of revision and achieving longer term goals. I know that today, right now, you'd rather be playing Fifa or SnapChatting than revising! No one blames you for that. But in six months time you'd rather have achieved your goals and be taking those A Levels or beginning that apprenticeship, college course or university degree you dreamed of. Write that longer term goal onto a Post-It note, and stick it onto the wall in front of your revision desk .... maybe even turn it into an image and make it the wallpaper on your phone! Keep that goal at the forefront of your mind, and every time you're tempted to cheat yourself on your revision, think about that goal. 11. The greatest cause of exam stress is worrying about the outcome, and the greatest cause of that worry is procrastination, delaying or postponing your revision, or doing it in a half-hearted way because there is 'plenty of time before the exams start'. 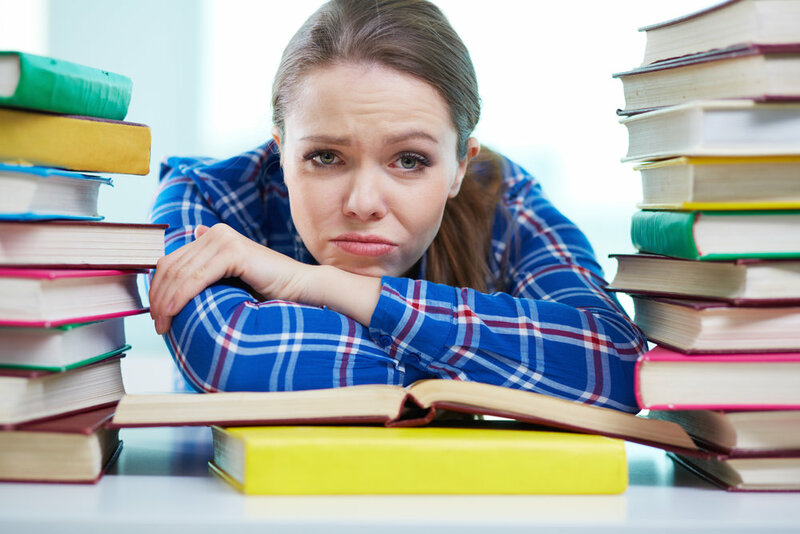 Delaying your revision, or allowing multiple 'bad' revision sessions to pile up will only build your stress levels. You'll know that things aren't going well, and this will increase your anxiety. Remember: the date of the exam will come around. It might be six weeks away, but it will be here soon! Even if you’ve left your revision late, you’re much better to start now than tomorrow. Your task is to arrive in the exam hall as calm and confident as you can, and the way to do this is to be as prepared as possible. 12. Take care of yourself in the exam period: get plenty of sleep, drink lots of water and eat healthily. Get some exercise too: maybe a quick walk ... listening as you walk to key points you've recorded previously onto your phone maybe? Plan this exercise into your schedule. Don't be tempted to have a late night of binge-watching of Netflix or online gaming. A late night will likely ruin the following day of revision too. A tired you will be distracted and lacking in focus ... not good when you're trying to revise. 13. On the day / night before the exam, focus on the key points about each of the topics in the exam the following day. Hopefully, you'll have condensed these down onto flash cards or mindmaps, or 'topics on a page' or mindmaps. Review these repeatedly, but make sure you also get a good night’s sleep. 14. Share how you're feeling with friends and family members, and allow them to support you! If you’re feeling really anxious, be honest with them about that. They will want to help. 15. Think of the exam from the point of view of the examiner who will be marking it. He or she will see your paper as just one among a huge pile of exam papers that they'll be working through. Remember that the examiner will have a mark scheme for marking your paper, and will be looking for answers in your paper that match up to what’s in that mark scheme. Make their life easy: make your language as clear as possible, explaining the key points and using the correct terminology and language for the topic. 16. For longer answer questions, spend a couple of minutes structuring and jotting down the key points you want to make in your answer before you begin writing. You're much more likely to communicate the key points when you've done it this way. 17. Look at the number of marks that are available for a question. Generally speaking, for written exams, the number of marks is the number of different points you should be making in your answer, sometimes with additional marks for the quality of your spelling, grammar, and communication. Don't 'wax lyrical' about one key point, explaining it repeatedly in different ways. That one point you've made is likely to be worth only one mark, whether you’ve explained it clearly in two sentences, or have rambled for 500 words about it! 18. For subjects where you're showing your working, or are laying out formulas - e.g. Maths or Chemistry - lay out your working as neatly as you can, in the order that you worked through it. In many exams, even if you've got the final answer incorrect, there are marks for showing your working out. Give the examiner the best chance possible to award you those marks. 19. If you take an exam that really doesn't go well - maybe it was just a really hard paper, or maybe the topics you wanted didn't come up - try your best to move on, looking ahead to your next exam, and focussing on what's to come rather than worrying about the previous paper. 20. Exams are important, but so too, and even more so, is your mental health. If you're really struggling with anxiety and stress about your exams, please don't suffer in silence. Speak to adults that you trust, and seek help and support. Remember, even if you don't achieve absolutely everything you wanted in your exams, you still have future options, including re-takes ... but don't use these future options as an excuse to not do your best now! If you're revising for exams, I hope some of these tips are helpful. 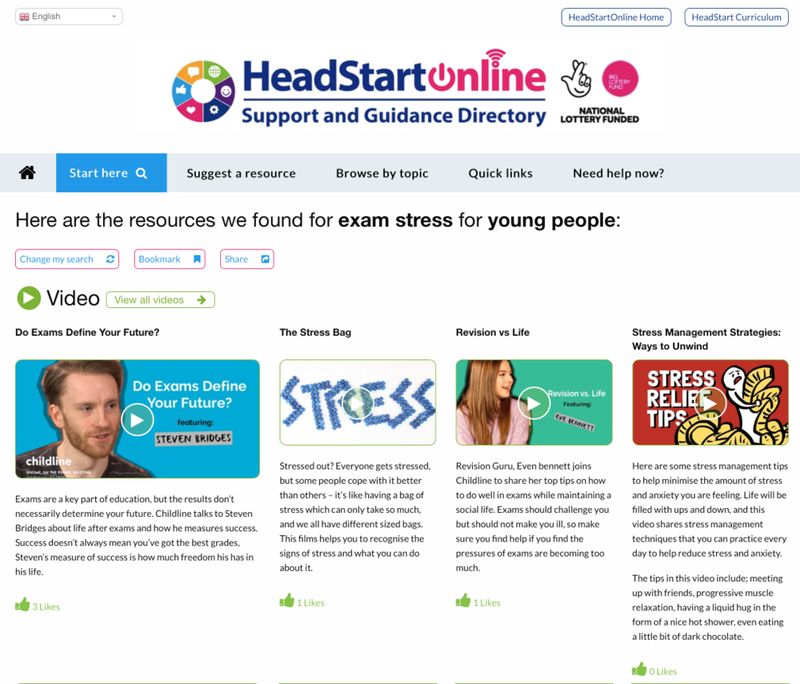 Be as prepared as you can, try to arrive in your exams feeling calm and confident, and all the very best for exam success, and managing your stress, from me and HeadStart.